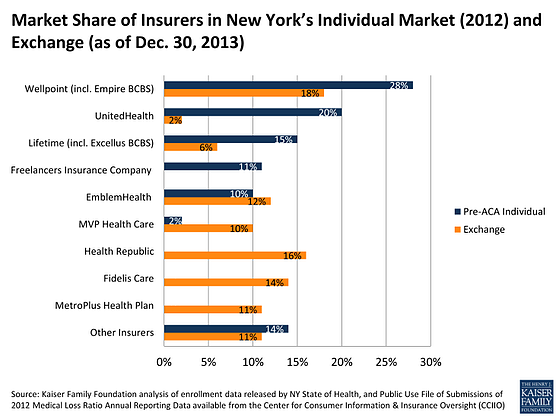 How Competitive are the ACA Health Insurance Exchanges? One of the purposes of the health insurance exchanges created by the Affordable Care Act is to create competition in the individual health insurance market, increase cost transparency, and drive down prices. Now that the public individual health insurance exchanges are up and running, how competitive are they? The Kaiser Family Foundation (KFF) recently analyzed competition in the individual health insurance market. Historically, the individual health insurance market historically has been highly concentrated, with only modest competition in most states. For example, when the Affordable Care Act (ACA) was signed into law in 2010, a single insurer had at least half of the individual market in 30 states and the District of Columbia. While a dominant insurer may be able to negotiate lower rates from hospitals and physicians, without significant competitors or regulatory oversight, there was no guarantee that those savings would be passed along to consumers. 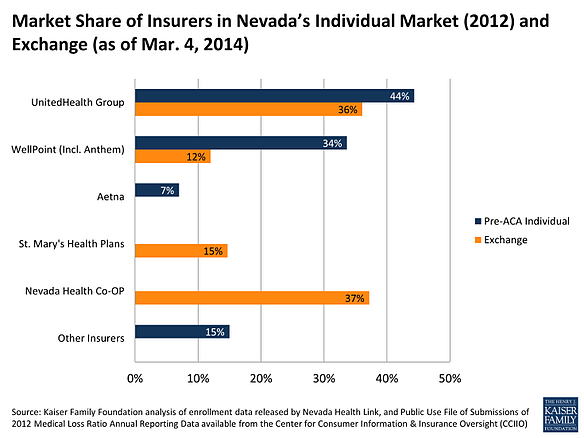 So, How Competitive Are the Health Insurance Exchanges? The answer is - it still largely depends on your state. KFF's analysis took preliminary exchange enrollment data released by seven states to look at how competition may be changing in the individual market. 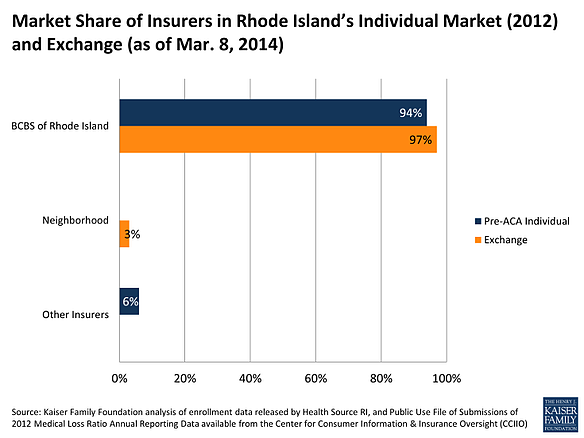 They compared early enrollment across insurers in these exchanges to market share statistics from each state’s 2012 individual market prior to full ACA implementation. The seven states include California, Connecticut, Minnesota, Nevada, New York, Rhode Island, and Washington. KFF's analysis of the early results suggests a diversity of results across states. Two of the large states, California and New York, appear to be noticeably more competitive than their 2012 individual markets as a whole. 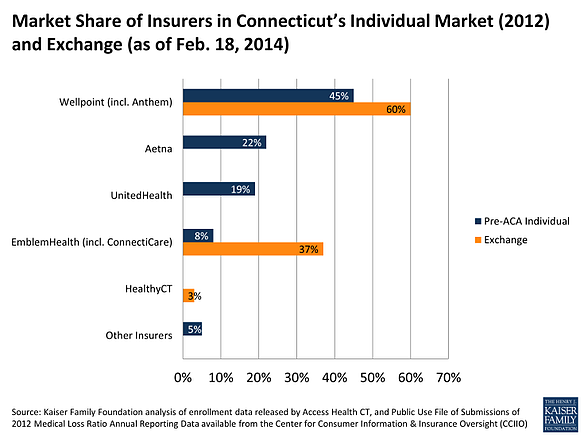 On the flip side, exchanges in Connecticut (where two major insurers decided not to participate in the exchange) and Washington appear to be less competitive than their individual markets were in 2012. 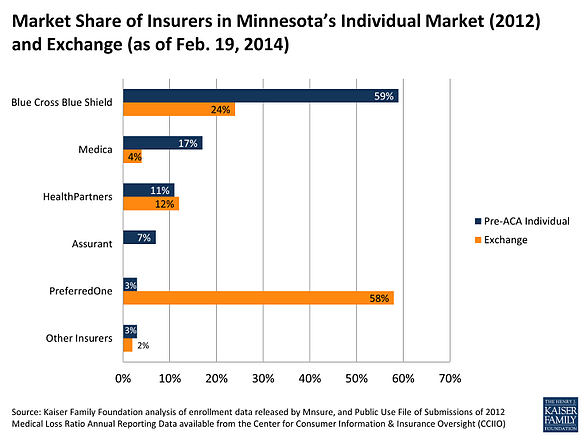 In some cases, market share among insurers has shifted significantly under the ACA, including some notable examples of new entrants picking up substantial enrollment. Here's a look at KFF's analysis of the seven states. See the full analysis and methodology at www.KFF.org. 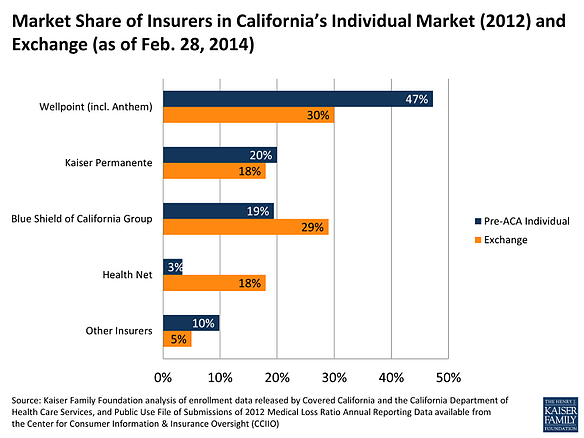 How competitive is the individual health insurance market in your state? 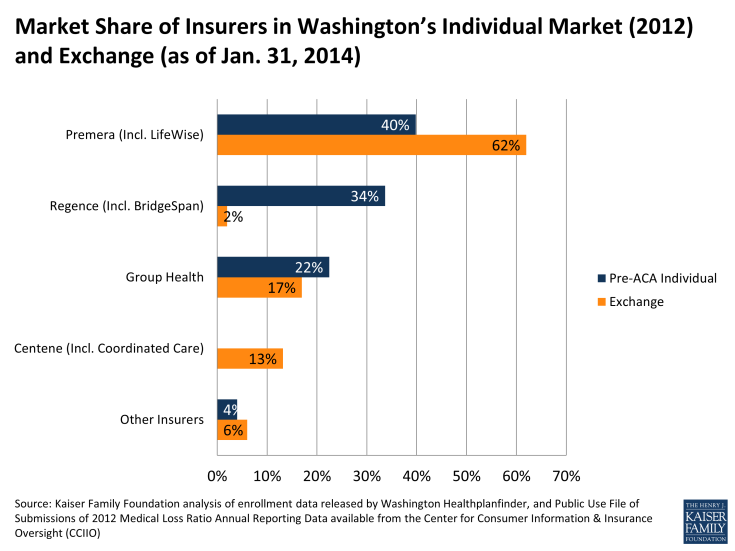 ACA Exchanges: Which Health Insurance Companies are Coming Out Ahead? Lack of Competition on the Health Insurance Marketplaces?